Good News: You Can View the Longmore Lecture with Alice Wong Remotely! Join us! The 2018 Annual Paul K. Longmore Lecture on Disability Studies will feature an interview with Alice Wong on "Storytelling as Activism: The Politics of Disability Visibility." 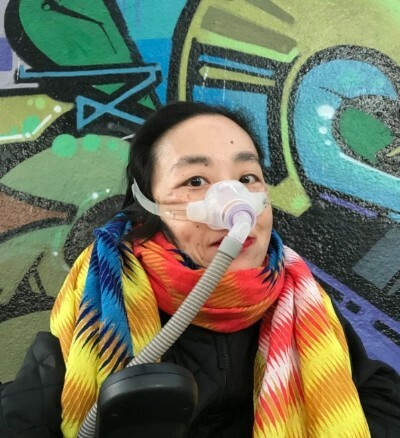 You won't want to miss this chance to learn more about Alice Wong, Founder/Director of the Disability Visibility Project and co-partner of #CriptheVote. Together we will explore disability justice, savvy strategies for social media, intersectionality, and political engagement through storytelling. This event is free and open to the public, and light refreshments will be served. RSVP encouraged to pklinst@sfsu.edu or (415) 405-3528. Please refrain from wearing scented products, so that people with chemical sensitivities can join us. ASL and open captioning will be provided. BUT DON'T WANT TO MISS OUT ON THE FUN? *** This year's Longmore Lecture was made possible thanks to several donors who gave in honor of Nicole Bohn's many years of service to San Francisco State University.